This lovely four bedroom, three and a half bath single family home features a great room with vaulted ceilings, hardwood floors, a gas fireplace, and large south facing windows that open to wonderful views of the soaring cliffs and waterfalls of East Vail. A large newly extended deck with stainless steel gas grill provides a relaxing retreat on sunny days. NEW HOT TUB steps from the door on the deck. The kitchen has ALL new upscale stainless steel appliances,(newly installed gas cook top with griddle and gas oven), granite counters and bar style seating. Enjoy relaxing meal times seated at the large dining room table that seats 8 comfortably and adjourn to the relaxation of expansive great room equipped with surround sound, large flat screened TV, overstuffed chairs and couch and gas fireplace. Also equipped with free WI-FI and free national phone calls. We also have an extra large load washer and dryer in our laundry room for your laundry needs. Our large two car heated garage has a ski rack for your skies and your boots will stay heated in our laundry room. Family friendly home! We provide a high chair, baby gate and port-a-crib. Family volleyball, badminton in the summer in our spacious yard. Bikes also provided with helmets for biking on the bike path located close to our house. In the winter we provide a sledding tube and a large yard for building igloos. Four bedrooms include 2 master suites, room with two twin beds (beds can be converted to a king size bed) and bunk room for four. Designer linens and furnishings throughout. Access to Vail Racquet Club with nominal guest fee. This approximately 2250 square foot home is PLATINUM rated. Conveniently located on the free Town of Vail shuttle route. Wonderful new Hot Tub installed on deck! Perfect location. Enjoy after a hard day of skiing or for relaxing and star watching! Large flat screen TV with surround sound. Also in the master bedroom and bunk room, there is a flat screen TV. May board games and puzzles. Large deck with beautiful mountain view. Flower boxes in the summer. Always, perfect for entertaining large parties. Large new Hot Tub!! Installed on the deck for your convenience. Very comfortable home with great amenities, and surprising level of privacy. The owner could not have been better to work and communicate with. Great value for being in the Vail valley. The owners were excellent at communicating and provided us with details about the area and the home to make our stay more enjoyable. They even texted, afterwards, inquiring about an item left behind. No hotel has done that for us! The home was beautiful, brightly lit and well decorated. The kitchen was well stocked and accommodated us to feed our large group. There are many options for activities from games to sledding; it would be hard not to bond with your family during a stay at this home. Thank you Valerie for your kind review. It is always good to have positive feedback but your wonderful experience in our home is truly what we strive for. Bonding is important for all families and we are so happy that between eating, skiing, sledding and lots of board games you were able to accomplish that!! While we raised three boys of our own, our best memories are our family times in the mountains. We loved having you as our guests and hope you return to our home on your next vacation to Vail! Remember, we offer a discount to all our returning guests!! Beautiful house. Great for family gathering. Gorgeous setting. The house was perfect for our pre-Christmas family get together. My parents came in from NY for a white Christmas, which we was perfect. The setting in the trees, with falling snow, snow covered building and trees was exactly the White Christmas we were hoping for. Beautiful Home! Great family vacation! We loved our stay in this beautiful home. Great location with close proximity to Vail Village and Lionshead. From the floor plan to the furnishings, it has every amenity you need while providing the warm, cozy feeling associated with being in Vail. Everything we needed was at our fingertips.....from the kitchen setup to the beautiful bedding, fresh linens and towels in every bedroom and bathroom. Immaculate!! We enjoyed our morning coffee on the deck. Spectacular view. So relaxing! Plenty of room at the dining room table for a big family dinner if you want to cook or bring food in. At the end of the day it was nice to gather around the fireplace on the nice big sectional. So comfortable. The owners were delightful to work with and left no stone unturned to make sure our stay was everything we hoped for. We look forward to coming back and HIGHLY recommend this home. Thank you so much for your praises Claudia. We try to go above and beyond for your guests in making their experience the most enjoyable.Our fully stocked kitchen has received many 5 stars. Not running to the grocery store for coffee, morning cereal or oatmeal as soon as you arrive to Vail, is just one of the few advantages. We hope you visit us again on your next family vacation! We offer all our returning guests a discount on their next stay with us. 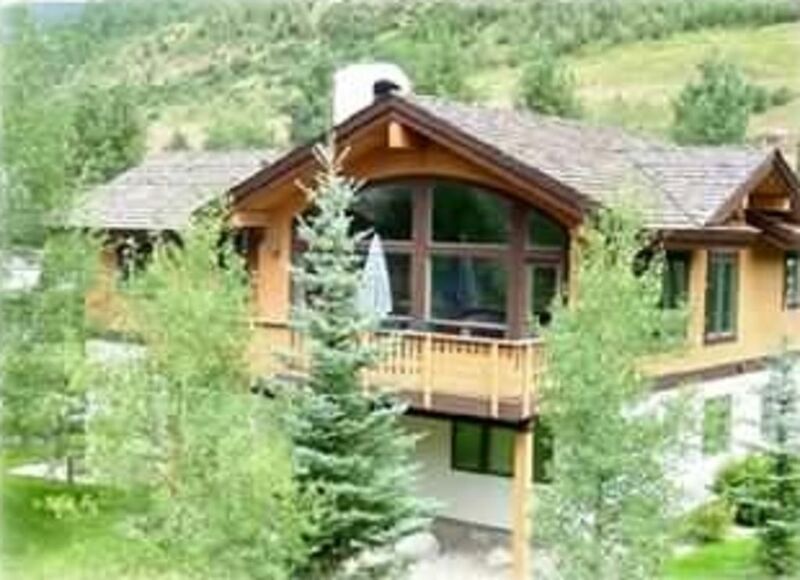 Beautiful spacious home in exquisite East Vail setting. The owner had provided everything we could possibly want or need during our visit to Vail. The kitchen, dining and family rooms were just beautiful and spacious. The dining room table easily accommodated 12 persons to enjoy family meals together. The outdoor deck with the wonderful hot tub with mountain views was enjoyed by all of the guests. We couldn't have asked for a nicer place for our wedding weekend retreat! We will come back for sure. Thank you Jane!